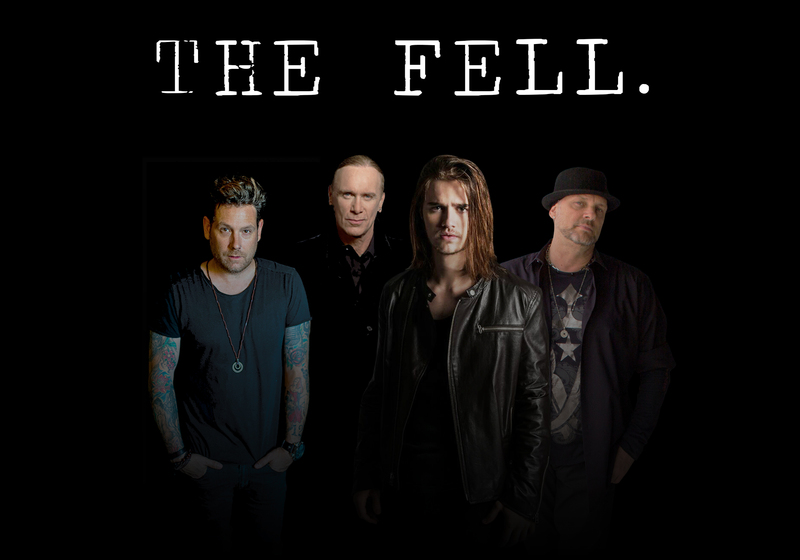 Newly formed alternative rock band THE FELL, featuring Billy Sheehan (Mr. Big, The Winery Dogs), has announced North American dates for their Breakout Tour. 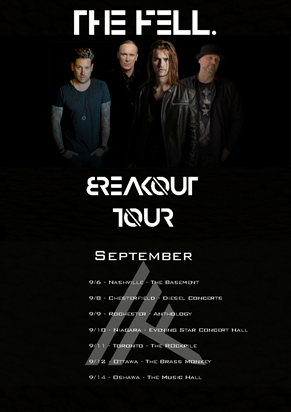 Launching September 6 in Nashville, TN, the band will be hitting select venues in Michigan, New York, and into Canada. The Fell –a new alternative rock band consisting of the multi-talented Anthony De La Torre on vocals, who you may also know him as Young Jack Sparrow in Pirates of Caribbean: Dead Men Tell No Tales or the drummer in Metallica’s video “Man Unkind” with the cast of Lords of Chaos, in which he plays “Hell Hammer”, Mike Krompass – Guitar player and Multi-Platinum producer , Notorious session drummer Randy Cooke and last, but not least, Billy Sheehan (Mr. Big, Winery Dogs) on bass, who needs no introduction. The Fell is not typical of any of their past projects, It’s a fresh new direction, but uses their influences to create a more modern sound, with heavy guitars, powerful riffs, crushing grooves and huge vocals.